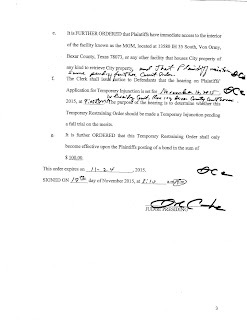 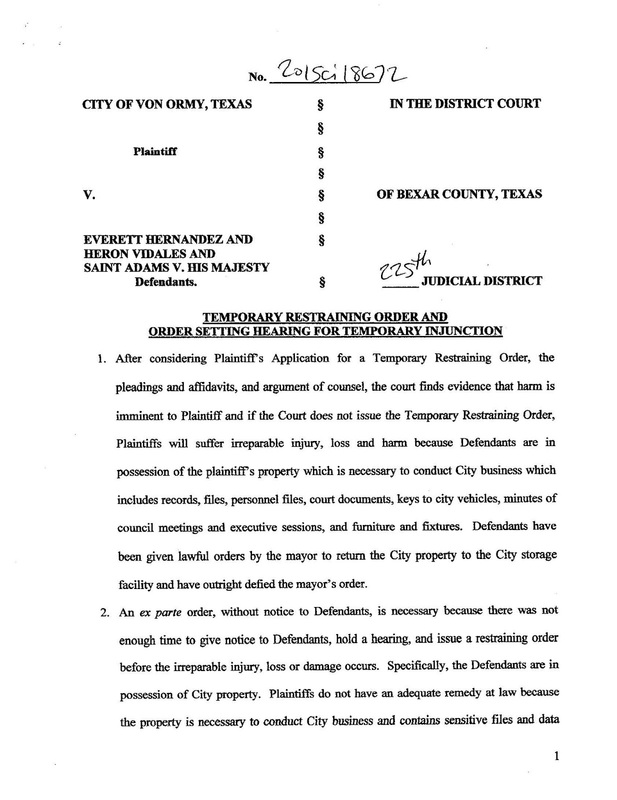 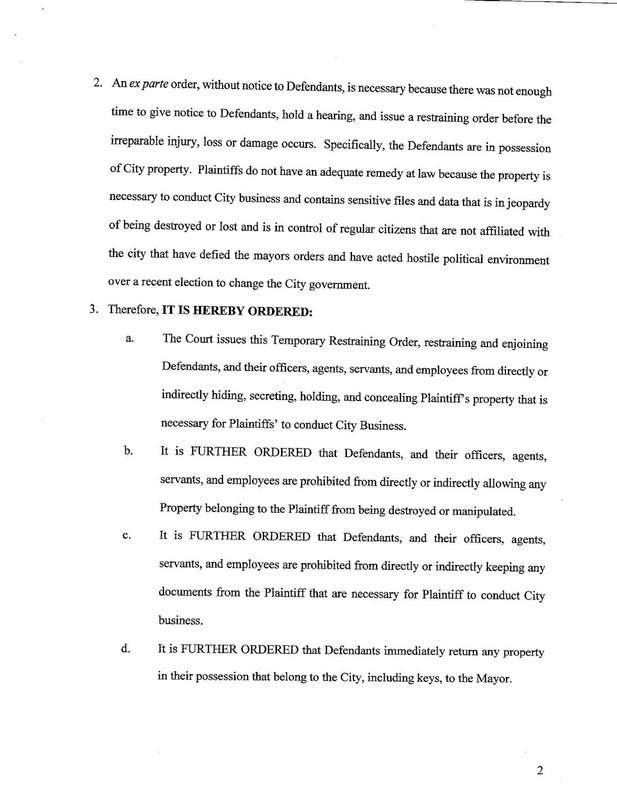 VON ORMY--On Thursday, November 5, 2015, the City of Von Ormy was granted a Temporary Restraining Order (TRO) against then City Marshal Heron Vidales and City Administrator Everett Hernandez for the return of city records, keys and property. 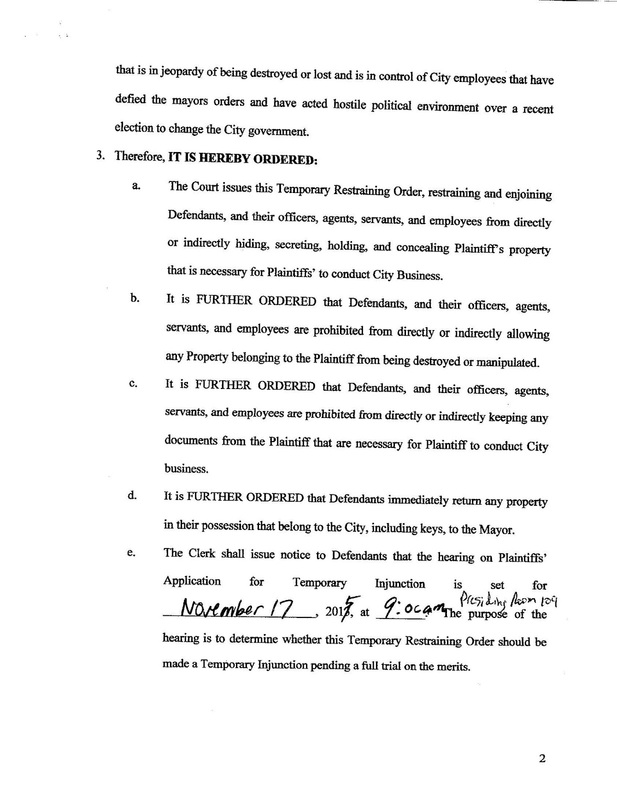 The application states that Vidales and Hernandez ignored several orders to return the city property in their possession from Mayor Trina Reyes. 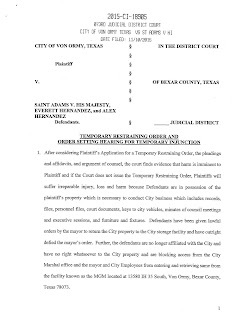 The application for TRO states that the property was taken from the City's storage pods and moved to the MGM Party House on I-35 without authorization from the Mayor or a vote of the City Council. 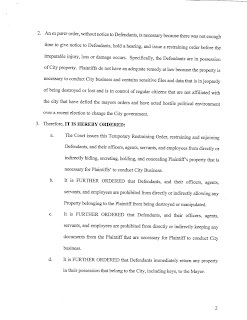 The Order to immediately return the property to the City was issued by District Judge Sol Cassob of the 73rd District Court. 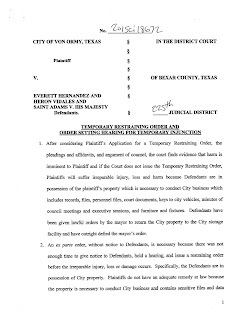 On Tuesday, November 10, the City filed a Motion to Enforce and Contempt against Vidales and Hernandez stating that they had failed to comply with the order to return city property. 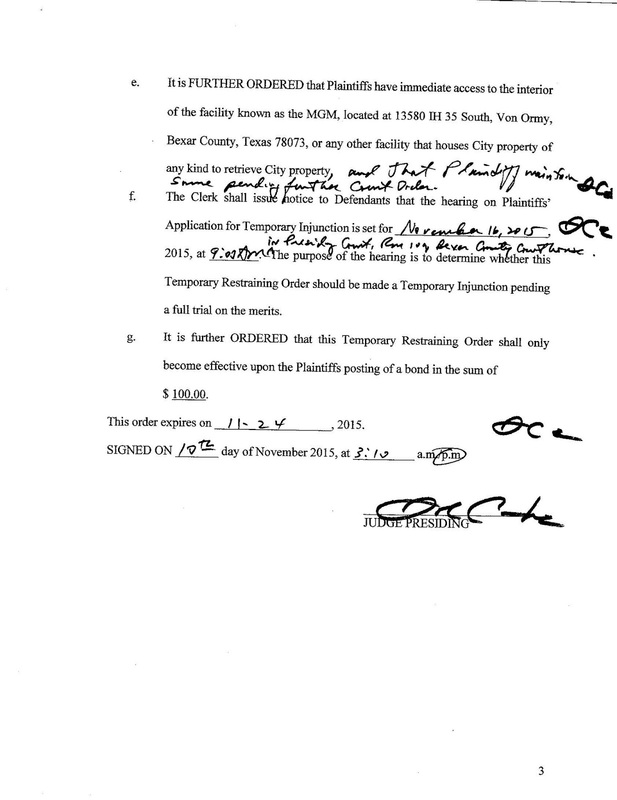 A second Restraining Order was granted the same day authorizing the City to enter the MGM to retrieve its property. 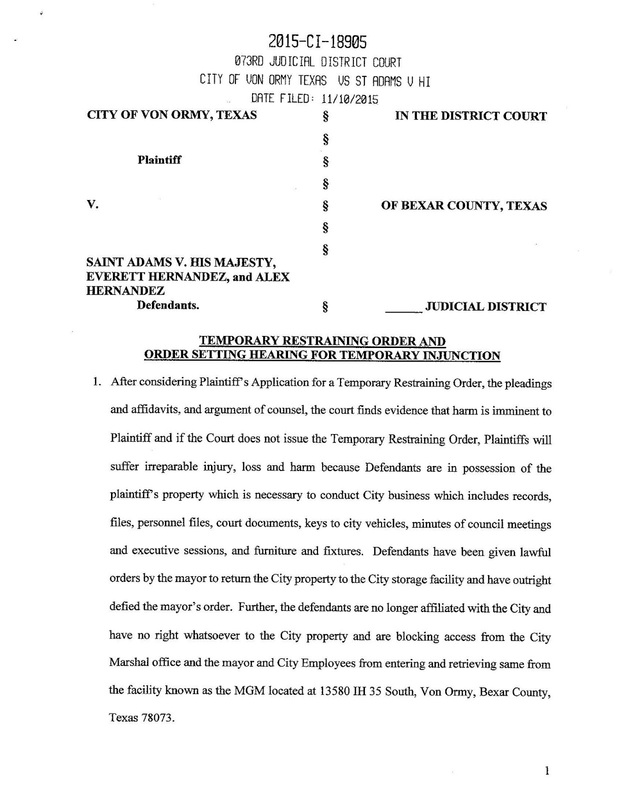 The property was inventoried and returned to the City's storage unit. 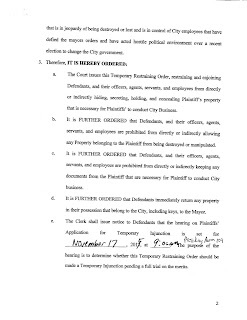 A Temporary Injunction hearing is set for next Monday, November 16, which will allow the Defendants to claim any property that was removed and to account for missing property. 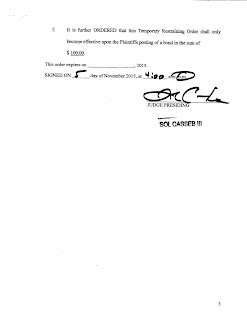 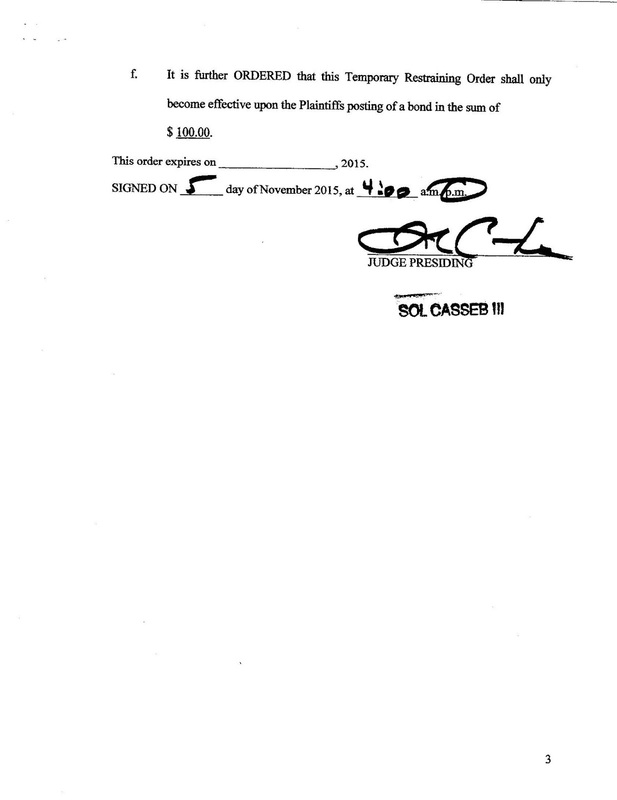 The Motion for Contempt is set for Nov. 30th.